Graveside services for Martha Lynn Ware Heard will be 10 am Friday, March 9, 2018, at the Alva Municipal Cemetery with Rev. Dr. Carol Cook Moore officiating. Interment is under the direction of Marshall Funeral Home of Alva. Louisiana Memorial services will be 4 p.m. Saturday, March 17, 2018, at the Rose-Neath Funeral Home in Mansfield, Louisiana. Martha Lynn Ware Heard, daughter of the late James Elward and Francis Charlene (Hammett) Ware, was born July 27, 1950, in Monroe, Louisiana, and passed away March 6, 2018, in Oklahoma City, Oklahoma, at the age of 67. Martha graduated from West Monroe High School with the Class of 1968. She then attended Louisiana Tech University where she obtained her bachelor’s degree in early childhood education and her master’s degree in family and consumer science. After graduation, she moved to Mansfield, Louisiana, to work for the DeSoto Parish Cooperative Extension Service. On May 31, 1975, she was united in marriage to Stuart Wiley Heard in Mansfield. Martha spent the rest of her career devoted to education, teaching and being a mentor to many students. She taught at Pelican High School and Mansfield High School and after 31 years retired from teaching and moved to Stillwater, Oklahoma. She quickly realized she was not ready for retirement and took a job at Faver Alternative School in Guthrie, Oklahoma, in 2005. She permanently retired from teaching in May 2015. She was passionate about teaching and making an impact on students lives. She was publicly rewarded for her commitment by being honored as the KSLA News Channel 12 Teacher of the Year. She was an active member of Delta Kappa Gamma, promoting women educators and excellence in teaching. 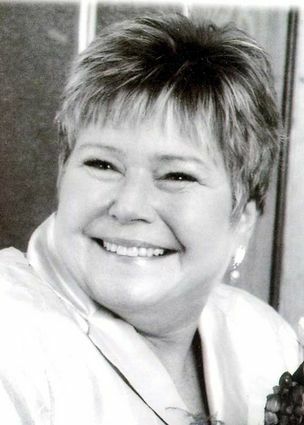 She was a very active member of the Mansfield First United Methodist Church, singing in the choir, leading the children’s choir, and teaching Sunday school. Her life was always dedicated to helping youth. She served as a leader of the DeSoto Parish 4-H Club and an advisor to the Louisiana Junior Polled Hereford Association. Martha’s love for animals and agriculture was instilled at an early age. She was raised on a large sheep farm in Calhoun, Louisiana, was actively involved in the day to day farming operations and exhibited her sheep all over the United States. She passed the love for showing livestock down to her children and eventually her grandchildren. Martha is survived by her life partner, Marshall Malzer, of Oklahoma City; three daughters, Sarah Lyndsey Heard and fiancé Shane Brawley of Oklahoma City, Megan Storey McMurphy and husband Cody of Alva, and Courtney Stuart Mitchell and husband Jon Derek of Marlow; sister Jane Jones and husband Richard of Huntsville, Alabama; brother James “Jim” Ware Jr, of Hebbronville, Texas; five grandchildren, Josie Brawley, Avery and Reece McMurphy, and Tobie and Tyller Mitchell; lifelong best friends Becky Porter and Susan Martin; other relatives and friends. Memorial contributions may be made through the funeral home to the Alva 4-H and FFA Booster Club or the Marlow AG Boosters.